The Mountain Buggy Travel Bag is just what you need for travel. Industrial quality base and wheels for superb longevity. Freestanding base with wheels for effortless travel. 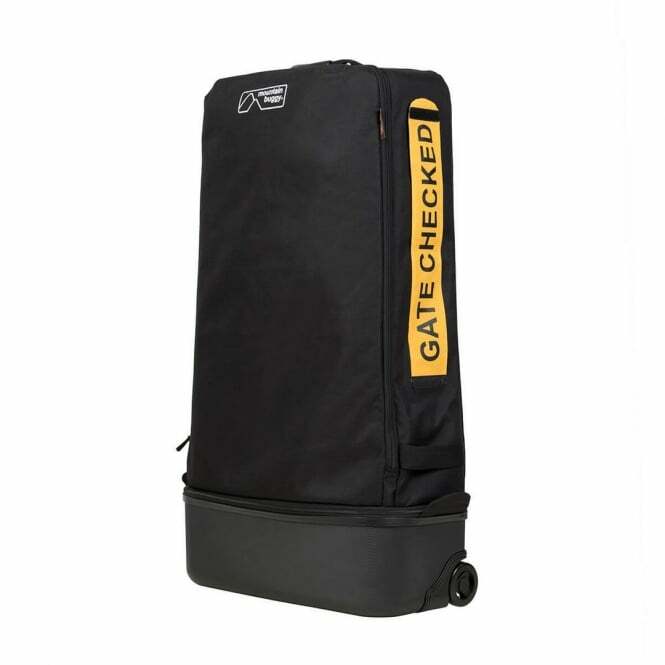 Built in " gate checked " tag that enables parents to take their buggy straight to the gate. A great option for travel, even without a buggy - just use as your usual suitcase. TSA padlock is included for added security. Compatible with: nano, nano duo, MB Mini, Swift, urban jungle, +one, cosmopolitan pushchair and many other buggy brands. Unfolded dimensions: 92 - 112.5 cm / 36.4 - 44.3"
Compact fold: 17 x 53 x 23.5 cm / 6.7 x 20.9 x 9.3"
Carton dimensions: 27.6 x 56.6 x 30.6 cm / 10.9 x 22.3 x 12"